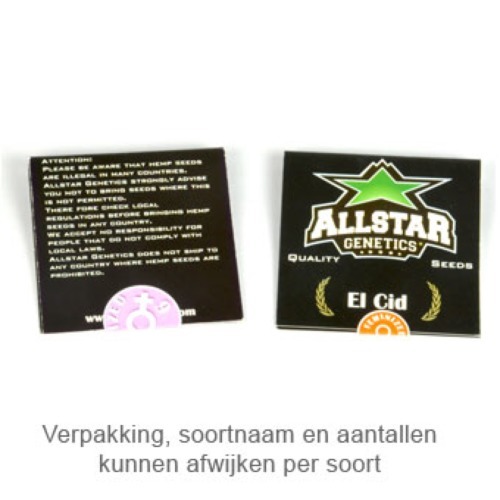 Kaligria from Allstar Genetics are cannabis seeds that are very famous in Amsterdam, this strain is originated by crossing the Kali-Mist x Alegria. These are feminised weed seeds and deliver a beautiful Sativa dominant plant. Allstar Genetics Kaligria has a light pink glow, that is only visible during flowering time. The buds of this plant can become very long. This plant is appropriate for an indoor grow and outdoor grow. Growing cannabis from with feminised cannabis seeds will guarantee a delicious and good quality of weed. The effect of smoking this weed is an uplifting high that persists for a quite long time. Unfortunately, the height of this plant and the month of harvest are unknown to us. Tell us and our customers what you think of the Kaligria from AllStar Genetics.